Dan Daniels holds an Advanced Diploma for Educators of Adults (UCT) and is an accredited Assessor and Moderator. He is very passionate about the education, training and development of the people of South Africa. He was a member of the first Standard Generating Body to develop the standards for the Petroleum and Base Chemicals Chamber of CHIETA. 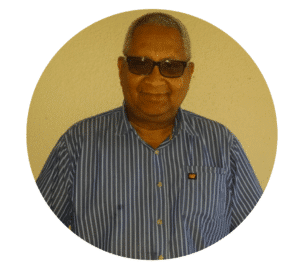 He has worked extensively in the Oil and Gas industry, starting his career at the Caltex Oil Refinery in Milnerton (now Chevron Cape Town Refinery. During this period he has filled various roles in plant operation and skills development. He wrote a number of training manuals specifically for process plant technicians in the petro-chemical industry. Dan has spent the last 8 years of working as a consultant in the upstream oil and gas environment as Production Advisor, Training Materials Developer, Training Facilitator and Control Room Simulator Instructor working in Libya, Korea, and Nigeria. Previously Dan was Chairperson of Norwood Early Learning Centre and Treasurer of St Nicholas Anglican Church.